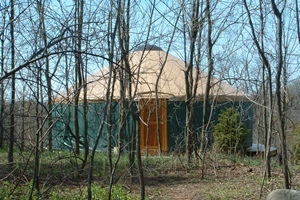 The Franciscan Life Process Center Artist Retreat Center is located on 230 acres of farmland in Lowell, MI. We provide artists with an opportunity to learn from nationally known instructors in a workshop setting. We invite artists, writers, musicians and other artisans to use our overnight accommodations to renew their creative spirits. 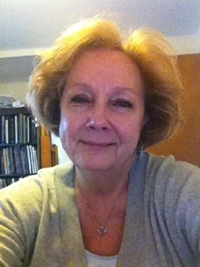 In January, 2014, Kathleen Bechtel joined the FLPC staff as Art Director. 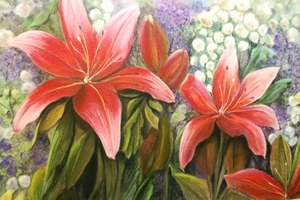 Kathleen works in oil and pastel and her work is found in two galleries, The Nines in Holland and Treeline Gallery in Sutton’s Bay. 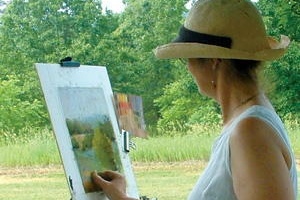 She is a member of Grand Valley Artists, Great Lakes Pastel Society and Women Artist of America. Kathleen attended Kendall College of Art and Design and has taken workshops with nationally known instructors whose work she admires. Learn from experienced artists who practice in a variety of media not only their techniques but what gives soul to their work . We invite artists, writers, musicians and other artisans to use our overnight accommodations to renew their creative spirits. You will find several special spots on the land for reflection. A group of artists who meet weekly to share insights and techniques. Visitors are welcome to stop by the Lowell Campus 9-5, Mon-Fri; Grand Rapids Campus 12-5:30, Mon-Thu. New artwork is displayed every three months. 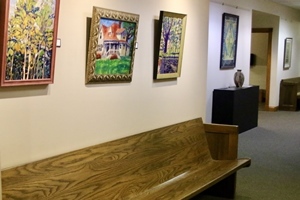 Franciscan Life Process Center - Art School updated their cover photo.